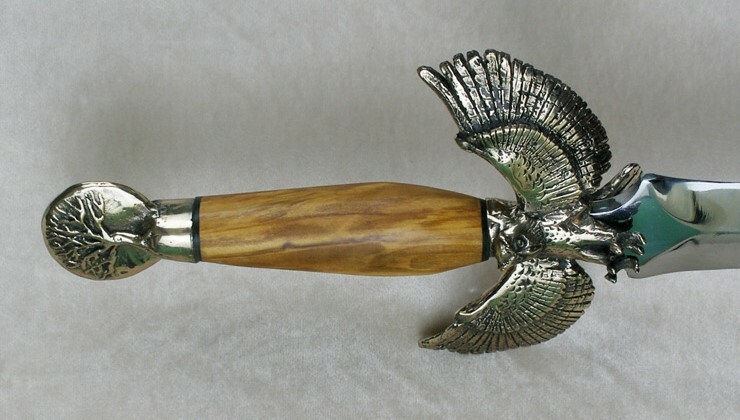 A beautifully sculpted realistic owl forms the crosspiece of this knife. Wings spread wide and talons forward ready to strike. The pommel has the image of a barren tree against the full moon, the tree the owl calls home. Each knife is hand-made to your specifications, with many options available.